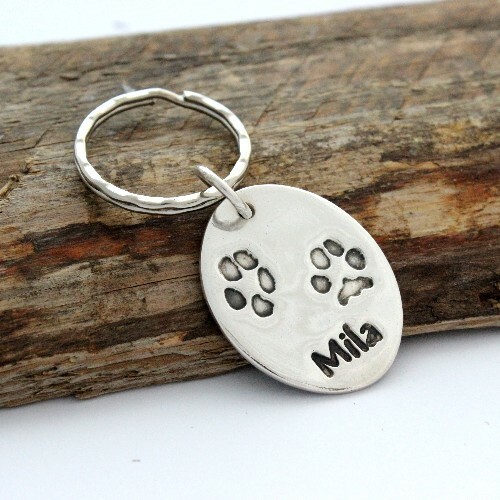 A gorgeous silver pet paw print key ring is the perfect way to cherish your adored pets when you can’t be with them. An ideal gift for any pet lover, the silver pet paw print key ring holds the actual scaled down image of your pet’s actual paw print. What Key ring attachment would you like? Do you already have prints to use? Made with sterling silver, silver your pet paw print key ring. 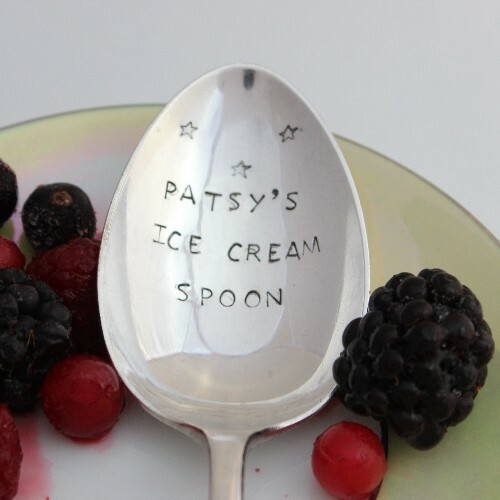 Your pet’s paw prints are scaled down to fit on to whatever size and shape silver you select. 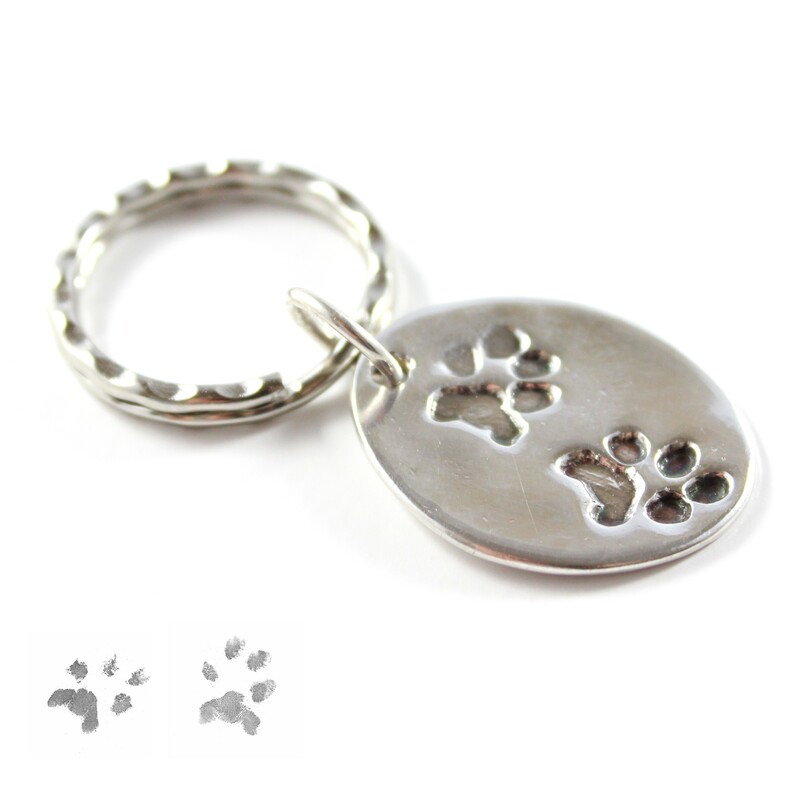 The paw prints are minimised to fit your silver paw print jewellery. So, we can work with prints from any size animal, from horses to rabbits, but possibly not hamsters! Regular – which will hold up to 3 pet paw prints on the paw print key ring. Large – which will hold up to 4 pet paw prints on the paw print key ring. 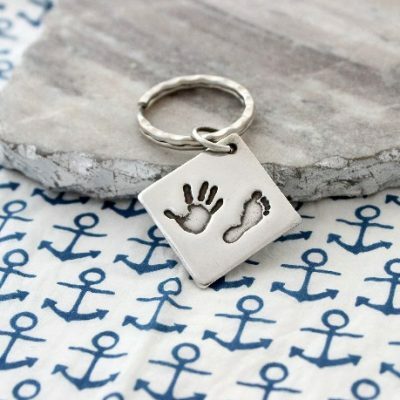 If you have more than one pet to have their paw prints taken, their prints will appear on the silver approximately scaled against one another – so if you have a jack Russel and a great dane for pet paw print jewellery, one print will be smaller than the other. However if you wish for them to appear differently on the paw print jewellery, please let us know. We will send you a mess free magic wipe kit to take the pet paw prints at home. The kits are very easy to use and come with comprehensive instructions. After scanning or photographing your pet’s paw prints, you can send them by email. Which means you can keep the original pet paw prints as an extra keepsake! 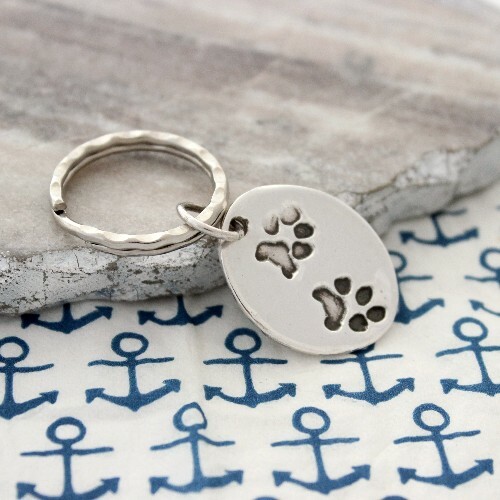 Your pet paw print key ring will e suspended on a stainless steel split ring. It is possible to order a solid silver split ring. However, please contact Impressions to Keep for information and additional costs. You can also opt to have your pet prints accented with a layer of 24ct gold, a stunning contrast between the 2 metals on your silver pet paw print jewellery. Delivery From when we receive your pet prints, delivery of your paw print jewellery is approx 4 weeks. If you require your silver pet paw print key ring before this delivery guide, please confirm Impressions to Keep before you place your order. Pet paw print jewellery is an ideal gift for any pet lover! 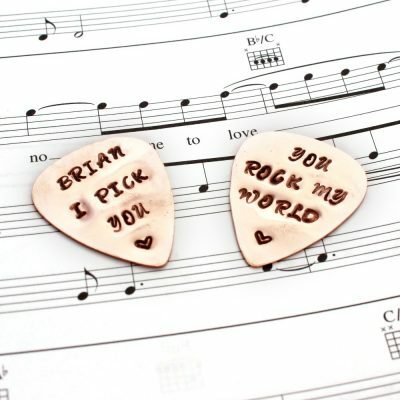 What size would you like your Keyring?